Does Outsourcing Solutions Helps Employer in Taking better Decisions? When we think of the advantages of outsourcing, typically what comes to mind are things like cost saving and access to talent. But the advantages of outsourcing can, and do, extend much further than this. In this blog post, and the next two as well, I will be taking a look at some of the more subtle advantages of outsourcing that you may have never thought about, namely, does outsourcing enable us to avoid cognitive biases in the work place? In this post, I’m looking at whether outsourcing enables us to make more objective decisions. We all like to think that we are rational individuals and that our decisions are founded on sound logical reasoning. But, psychologists have proved unequivocally that our decisions are, in actual fact, motivated by our emotions, and that we rather use logic to justify the (emotional) decisions we have made. Admittedly, this caught me off-guard. 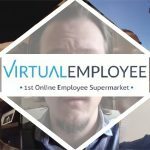 I had never ever thought of this myself and nor had any other client made this point when discussing the advantages of Virtual Employees. But what Malcolm was saying did make a lot of sense. When you are working with colleagues remotely, inevitably you have less opportunity to interact with them outside of the “project at hand.” In turn, does this lead to weaker emotional ties which, in turn, enables you to be more objective about both your project and your staff? Over the years I have seen firsthand many, many clients develop a deep, close and personal relationship with their Virtual Employees. Many clients have personally described their Virtual Employees to me as “friends” and said they had gotten to know them outside of work. So, working remotely with a colleague certainly does not mean there is not a personal or close bond at hand. However, equally it is inevitable that this emotional bond with a colleague is not going to be as strong as it would have been had you worked in person with that same person. So, whilst working remotely does not equate to no “emotional link” with your virtual employee, does the weakening of that link, however, also enable you to be more objective and so make more sound business decisions when it comes to your staff? If yes, how so? I will review the answer to this question in my next blog post by again looking at what Malcolm describes as “mission creep” and how outsourcing enables you to thwart it. For now, however, the point to reflect on quite simply is this – is increased objective decision-making one of the many hidden, and often unrealized, advantages of outsourcing?